Pete Bardens was actually a veteran R artist. He played with Them, Peter B's, Shotgun Express and Village before forming Camel in 1972. He also recorded several solo albums. The other three members had previously played together in a band called Brew and also worked with Philip Goodhand-Tait. 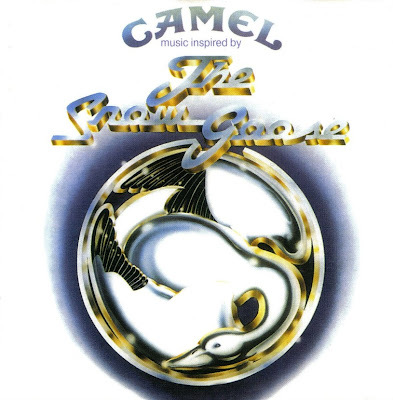 It was the instrumental album, The Snow Goose, which really put the group into the big time. It was inspired by Paul Gallico's novel 'The Snow Goose' and was undoubtedly one of the finest classical-influenced albums of the seventies - beautifully soothing and relaxing in places. They also performed it live at the Albert Hall in October 1975, backed by the London Symphony Orchestra conducted by David Bedford.